AMD is done with paper launches, too. Expect Ryzen chips to be available on launch day. 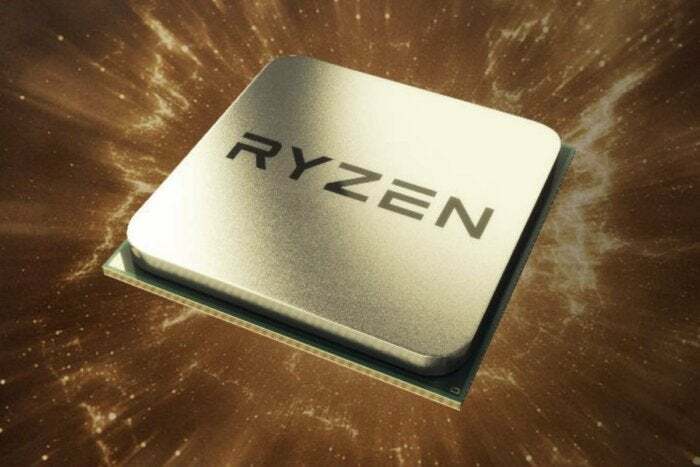 AMD spent four years developing its Ryzen microprocessor, and that’s the same length of time the company expects it to live on in its ongoing war with Intel in the PC processor space. Mark Papermaster, AMD’s chief technology officer, confirmed the four-year lifespan in a conversation here at CES 2017 in Las Vegas, though he declined to discuss specifics. AMD’s Ryzen—the CPU brand which is the public face of its Zen chip architecture—enters at a particularly serendipitous time. Rival Intel just released its mainstream quad-core Kaby Lake microprocessors, and the chips have met with mixed reviews from the tech press. In part, that’s because Intel’s famous “tick-tock” manufacturing model stuttered, resulting in a third 14nm chip, Kaby Lake, instead of the previously expected two. AMD, meanwhile, has worked hard developing a fresh approach, aiming and apparently hitting a 40 percent performance improvement target over its previous chip architecture, Excavator. The combination of a relatively mild Intel launch and a radical new architecture has AMD executives and enthusiasts buzzing about true competition in the PC processor market for the first time in years. Intel’s tick-tock cadence has typically meant that it develops a new microarchitecture every two years, with Kaby Lake the exception. Though AMD has never taken the time to formalize it, a three- to four-year lifespan for its own CPU architectures is about average. For example, the K8 series architecture debuted with the Opteron and Athlon 64 in 2003; with 2007’s mobile Sempron, the K8 trickled out. The K10 series lasted from about 2007 through 2010. AMD’s last Bulldozer architecture debuted in 2011 and persisted through the Piledriver, Steamroller, and Excavator updates. If Papermaster’s words are to be taken literally, it seems AMD plans to iteratively improve its Ryzen chips through an additional three generations, about one per year. What those improvements will be, of course, is anyone’s guess. But Papermaster said he’s a believer in architecture improvements that go beyond simple manufacturing, something he’s previously referred to as “Moore’s Law Plus.” One of the things AMD has tried to do with the Zen architecture is “go wide,” increasing the number of instructions that the chip can process, and Zen uses predictive tables and machine learning to improve its ability to ask and process data before it’s actually needed, known as branch prediction. Operationally, though, the next step is putting Ryzen in the hands of journalists and customers. AMD’s already set the stage for the latter, revealing over a dozen motherboards and 16 performance PCs already committed to Ryzen. The company has also revealed that every Ryzen chip will be overclockable. On the horizon, of course, lurks Intel’s 10nm Cannon Lake, most likely due this fall, and the still somewhat mysterious Optane technology. That’s of little concern at AMD, though. For now, the company’s focused on releasing Ryzen, and it’s full speed ahead. This story, "AMD says its Zen CPU architecture is expected to last four years" was originally published by PCWorld.